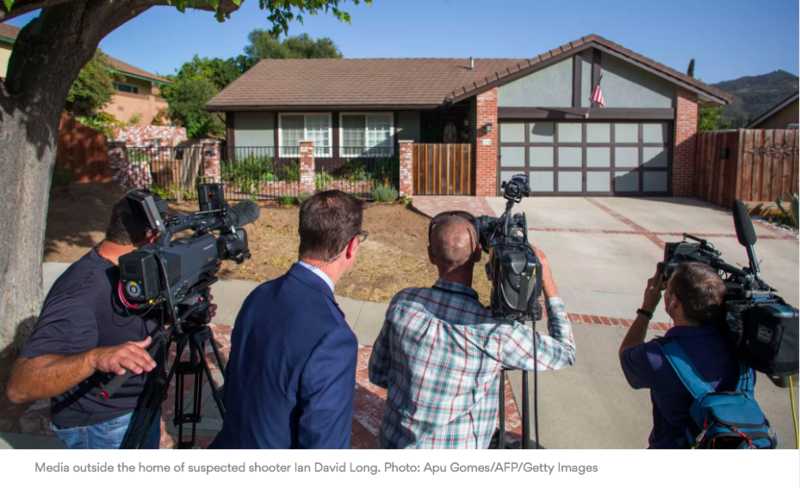 The man that shot and killed 12 people at a bar in Thousand Oaks, California, on Wednesday allegedly sexually assaulted his high school track and field coach when he was a student, BuzzFeed News reports, and his mother “lived in fear” of what he may do, according to CNN. Why it matters: These details echo a disturbing pattern found from other recent shooters, who also had histories of violence against women. In more than half of mass shootings, the shooter killed a partner or relative. Around 4.5 million women say they’ve been threatened by an intimate partner with a gun. 45% of women who are murdered are killed by intimate partners. The fifth leading cause of death for women between 18 and 44 years old in the U.S. is murder. Women in the U.S. are 16 times more likely to be killed by gun violence than in other developed countries. The Parkland shooter was “abusive” to his ex-girlfriend, per BuzzFeed, and got into a fight with another teenager after sending multiple death threats when she started dating after him.